Loretta Laroche is one of my favourite persons. If you haven't seen her, check her out on YouTube. Here's a link to one of them. She shares a few strategies to relieve stress using humour. If I want a good laugh, I choose to listen to her. I think she has a gift for holding a mirror up to the silly side of our lives and helps us to laugh at ourselves. I often find myself taking things too seriously - taking myself too seriously. Others have told me that this is true for them, too. I suspect that this is the case for most, if not all, people. When this happens, we tend to take offence more easily, we become prone to disappointing experiences, and can start a downward spiral which then affects other areas of our lives. Back in January/February of this year, I found myself complaining about several things that, from my perspective at that time, were not going right. I felt totally justified because I knew that I wasn't making these things up - they were really true. The thing is..... the more I complained, the more life threw more things my way to complain about. Then I suddenly caught on to what was happening and I decided to do something about it. After all, we can't control anything outside ourselves. We try that constantly, and just as often fail in the endeavour. I remembered something that I had learned several years ago.... that the only thing we can control is what we choose to focus upon and by paying attention to what we are feeling when we are focused upon something will tell us whether we are on track towards more peace and joy, or widening the gap between my desires and their fulfilment. So, I deliberately (note that word) started to choose thoughts that gave me some relief - thoughts that made me feel a little better than I did before. 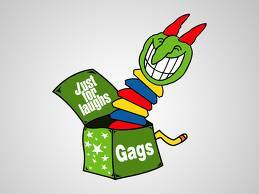 To help this process, I started to watch snippets on YouTube of 'Just for Laughs, Gags - just before going to bed. I believe that when we laugh, we let go of a bunch of negative stuff, which is why it feels so good. I did this over the next few evenings, and within 3 days noticed a shift at the core of my being. After a week, I began to feel more hopeful, and then I noticed that things around me started to morph into more pleasing experiences. Within a month, we were in a position for me to retire, we sold our house in just 2 days with no conditions, we found a terrific place to live, and the income from our part-time business increased dramatically. It was as if the doors that had been shut for a long time, were suddenly flung open, one by one, and we stepped through them effortlessly going with the flow, heading downstream into a more joyful, pleasing experience. Laughter was the key for allowing the shift to take place within. The rest just followed, piece by piece, as we watched things come together in ways that we could never have dreamed was possible.